Have fun with this adorable Frozen themed puzzle tin! 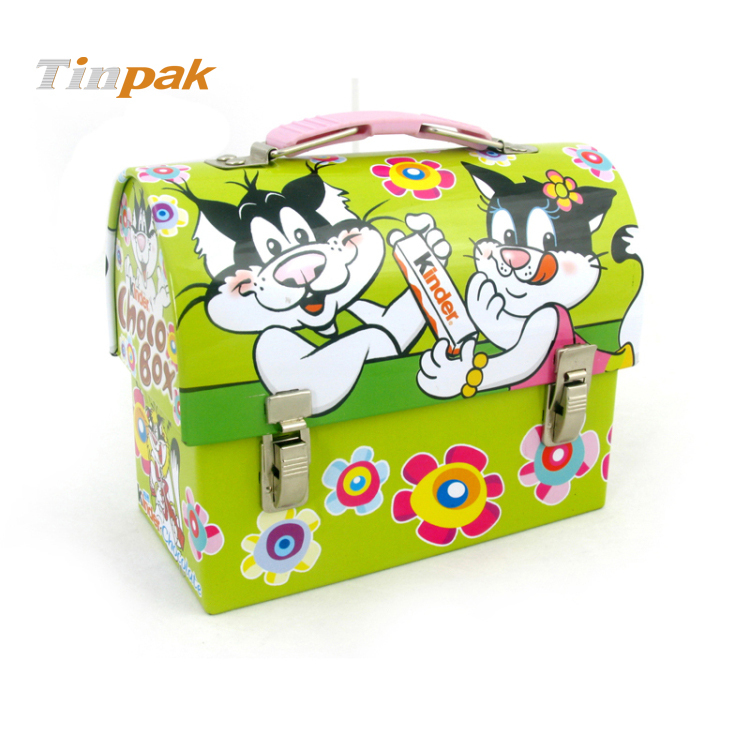 This unique lunchbox shaped tin contains a 48-piece puzzle that measures 15 inches by 12.5 inches when assembled. Beautiful graphics depict your favorite characters from the Disney hit movie, Frozen. This cool puzzle tin features the two Frozen characters in a wintry snowflake scene, along with a plastic handle and metal clasp closure. The unique lunchbox shaped Disney tin contains a 48-piece puzzle that measures 15 inches by 12.5 inches when assembled. This Disney Frozen puzzle tin can be used for a handy storage container, until time to build again! It is great for storing small toys and accessories.